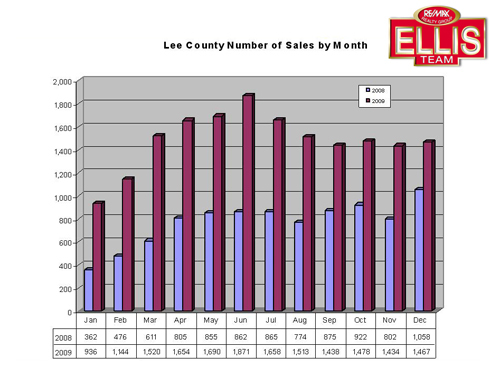 Last week we focused on the overall State of the Lee County real estate market, and this week we’ll continue with that theme, but zero in a little bit on how certain price ranges are doing. Much of our inventory has decreased in the last year as buyers have been scooping up properties faster than the system can bring them to the market. This is the reason inventory levels in certain price ranges have shifted to a seller’s market. 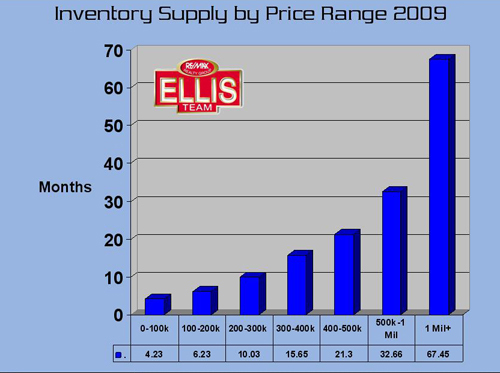 Last year at this time inventory level in the 0-$100k range was 20.26 months. Today that number is down to 4.23 months. Last year we talked about market equilibrium being somewhere in the neighborhood of 6-9 months. 6 Months seems about right to us. As you can see, this price range has fallen from nearly 2 years to less than 6 months illustrating it has swung from a buyer’s market to a seller’s market. Buyers many times read national headlines and don’t realize they’re competing with other buyers for the best properties, and most of these properties are on the market only a few short days. Practically any property in the 0-$100k range will have multiple offers and sell at or above asking price. In fact, last year 8,051 single family homes sold at or above asking price. That’s simply an amazing statistic. The next hot price range is of course $100-200k. Last year we had 12.06 months supply of inventory. This was the hottest price range last year, and it’s still hot this year. Today it stands at 6.23 months, almost half of last year. As you can see, the 0-$200k range is on fire. 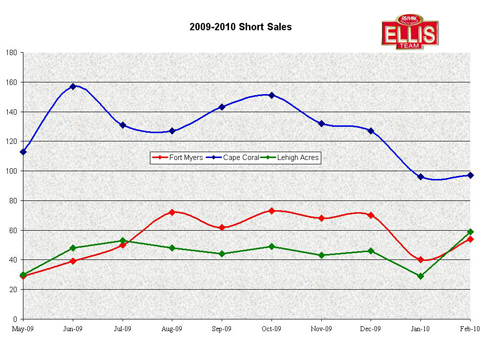 Last year we had a lot of Canadians coming down and buying properties in SW Florida. In the 2nd half of 2009 we noticed more interest from Americans from up north, and this season we’re already seeing many baby boomers arriving and seeking out their piece of paradise. Combining that with the brutal winter our northern friends are experiencing and we think this season stands a chance to eat into the $200k+ price ranges going forward. Last year the $200-300k range stood at 15.33 months, and this year it’s down to 10.03 months. The $300-400k range last year stood at 18.05 and this year it’s at 15.65, so its better, but the changes aren’t improving as much the higher we go. The $400-500k range improved by 3 months, down from 24.17 last year to 21.3 this year. What’s interesting to look at in this hot market is the $500-1 Million price range, and the $1million+ range. Inventory levels actually went up in both ranges, and up dramatically in the $1 million price range. This suggests to us a few things. Sellers in the higher ends of the market have held out longer than most as the affluent have had the means to ride out a poor economy longer. However, the drag on the economy may be catching up even to the highest of income earners. Secondly, there are fewer buyers in the higher ranges, with lots of inventory to choose from. To put this in perspective, in the 0-$100k range, there are 3,530 active listings on the market, but there were 10,021 sales last year in that range. In the $1 Million+ range there are 697 active listings, but only 124 sales all last year. 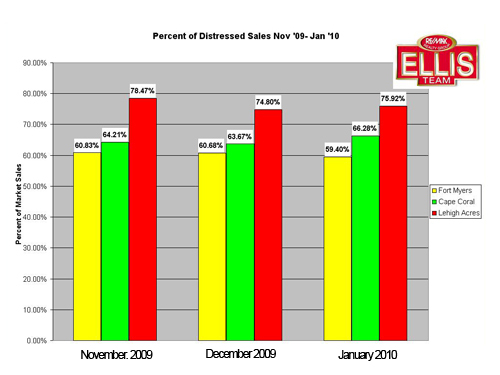 Top end sellers may “Need” more out of their home, but as we’ve seen with the foreclosure crisis, what a seller needs is irrelevant to what buyers will pay. Higher end sellers may not qualify for a short sale because they have other assets, so they may not be motivated to take losses and are testing the market. Oh, they surely may wish to sell, but not motivated to sell where the buyers are. Affluent sellers may have the ability to wait the market out longer, even if a property is draining them financially.